SINGAPORE — Formula One championship leader Lewis Hamilton is predicting a three-way fight for pole position at the Singapore Grand Prix. 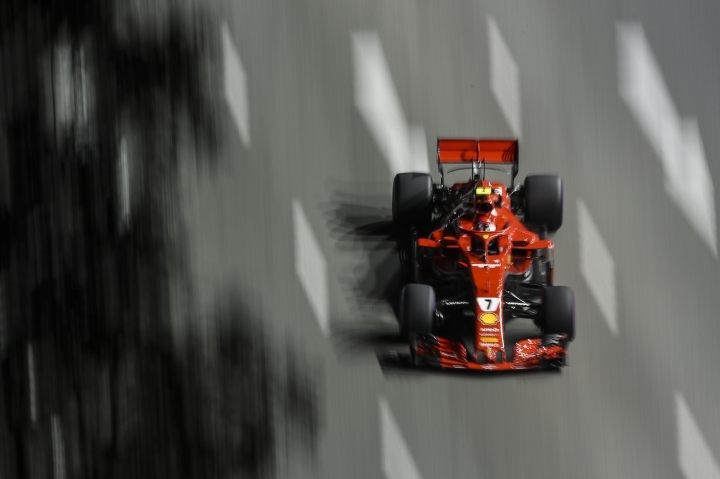 The Mercedes driver was just .011 seconds behind Kimi Raikkonen's Ferrari in Friday's second practice session under floodlights, with Red Bull drivers Max Verstappen and Daniel Ricciardo behind them in third and fourth. 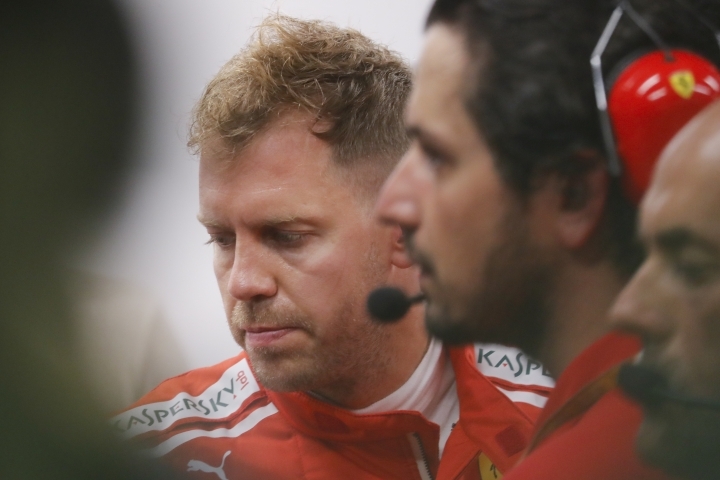 Sebastian Vettel's practice session ended early after he clipped a wall and damaged the right rear of his Ferrari, but Hamilton thinks Ferrari may have been holding something back in terms of speed and expects them to be at their competitive best on Saturday. "We were close to the Ferraris, but we will only find out tomorrow how quick they really are," said Hamilton, who has an F1-record 78 pole positions. "We will see how it goes, but it's looking like it might be a three-way fight between Ferrari, Red Bull and us." 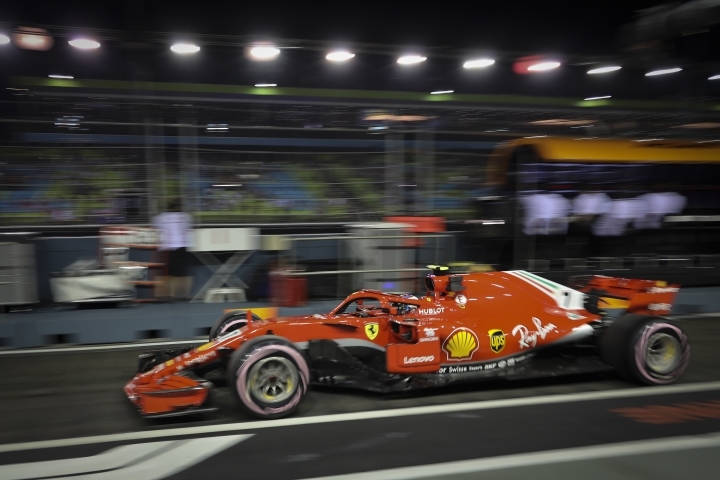 Verstappen was not so sure, even though the sinewy and tight-twisting 5-kilometer (3.1-mile) Marina Bay track suits Red Bull well because it limits the superior speed Ferrari and Mercedes normally enjoy over other teams. "I don't think we have the pace to fight for pole," the Dutch driver said. "Some hard work tonight should put us in a good position with ability to attack." Although the second session started in the evening, there was no breeze at all and stifling heat and humidity were relentlessly intense. "It is crazy hot in the cockpit. You're sweating even before you get into the car," Hamilton said. "In the second (practice), I think I lost almost two kilos, so I will lose even more on Sunday (for the race)." His teammate, the Finn Valtteri Bottas, described it another way. "It's especially tough around this track," he said. "It's a bit like doing exercise in a cockpit that's 60 degrees (Celsius, 120 Fahrenheit.)" 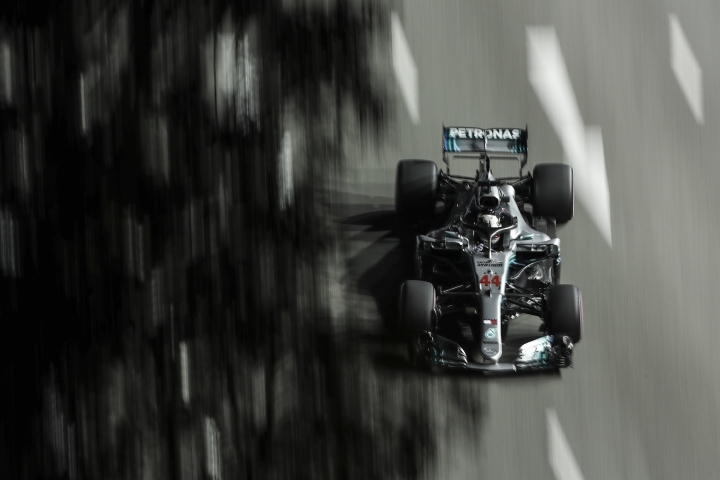 The heat may have affected concentration, as Hamilton stalled his Mercedes early in the second session after misjudging the entry into a turn. 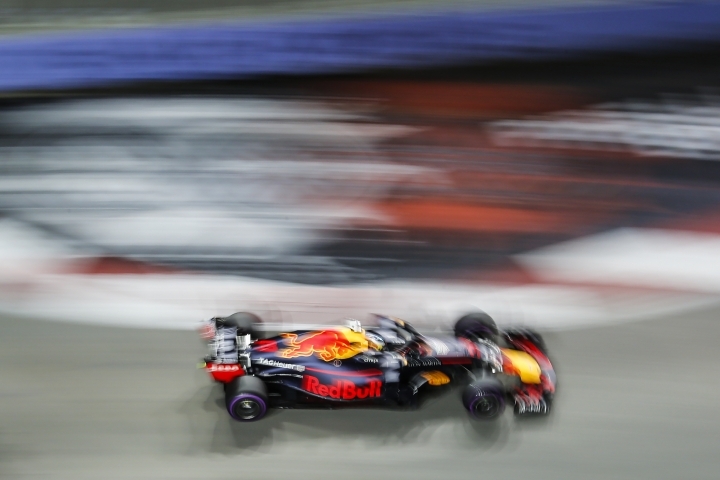 The British driver drove solidly after that, with Verstappen half a second behind and Ricciardo not too far back. Vettel, meanwhile, trailed nearly two seconds behind Raikkonen in ninth, but on slower tires than his teammate. The German driver could not get onto the quicker tires after his incident forced him back to the garage, although the extent of the damage was not immediately clear. 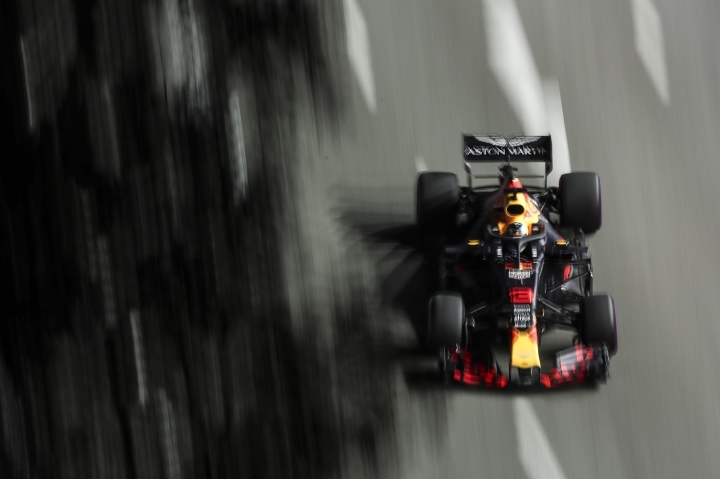 Earlier, Ricciardo was quickest in the first practice ahead of Verstappen, with Vettel third and Raikkonen fourth.